Latvia’s ABLV Bank on Monday submitted a draft voluntary liquidation plan application to the Financial and Capital Market Commission (FCMC), the bank’s spokesman Janis Bunte reported. The aim of the liquidation measures is to satisfy all claims of clients and creditors in full. A draft application was prepared by the team of liquidators elected by the meeting of shareholders of the bank. The team of liquidators currently consists of Elvijs Vebers, sworn attorney and insolvency administrator; Andris Kovalcuks, expert in real estate and finances; and Arvids Kostomarovs, expert in corporate finances. The application project includes information on the fourth liquidator which the shareholders’ meeting should first approve. It is planned that an independent international auditor will be engaged in development of assessment of quality of assets and the procedure of disbursements and the following checks under the process of voluntary liquidation. The measures of the voluntary liquidation provide that the team of liquidators will be supervised by a specially created advisory committee of the general meeting of the shareholders. Also, all information about the decisions made by the liquidators will be regularly submitted to the FCMC which will continue supervision of the bank’s operation and its regulation. Voluntary liquidation plan provides for primarily ensuring disbursements under the Guaranteed Compensation Fund. The disbursement of deposits started on March 3 devoting EUR 480 mln for it. The next important part of obligations to be covered is deposits of individuals and small and medium companies. According to the voluntary liquidation plan, the obligations to the creditors shall be covered through quarterly payments disbursing all the free funds available at the given stage of the process that are not necessary for continuing the liquidation procedures. The draft plan implies that the first disbursements for covering obligations shall start in the fourth quarter of 2018. 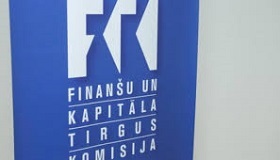 After the end of term for creditors to apply, the liquidators will prepare a list of creditors determining the sequence of their rights for settlement in accordance with the requirements provided in Section 191 through 195 of Law on Credit Institutions based on the documents submitted by the clients. The obligations to the shareholders shall be covered last. FCMC spokeswoman Agnese Licite confirmed in a conversation with LETA that the commission on Monday received the draft voluntary liquidation plan from ABLV Bank. FCMC plans in not longer than 30 days or by April 4 provide its decision if no additional information is needed. If the plan is acceptable, FCMC will submit a draft decision to the European Central Bank (ECB). When the ECB is given its permission, ABLV Bank may start the liquidation process, said Licite.